Sistan in east Iran is vast, low slope tectonic lowland of which a great portion is consisted of alluvial-saline lands of dried out Hamoon lakes. Sistan district with a population density of 43 people per square kilometer is the most densely populated human ecosystem in east Iran. This population is distributed in more than 1000 cities, villages, and nomadic settlements. Sistan plain is extensively exposed to vigorous winds. In the last 5 years, with the spread of drought and drastic reduction of Hirmand River’s water flow, dust storms have become more severe and long lasting. Winds of 120 days are the most significant wind in the region which starts every year at the end of the spring and lasts all through the beginning of autumn, with a mean velocity of 100 km/h. This research utilizes a survey/descriptive method coupled with medical documents to rank the risk of destructive eolian sediment dispersion in different regions of Sistan alongside the frequency of citizen’s reference to medical centers due to respiratory problems or eye damages caused by these sediments during the summer of 2017. 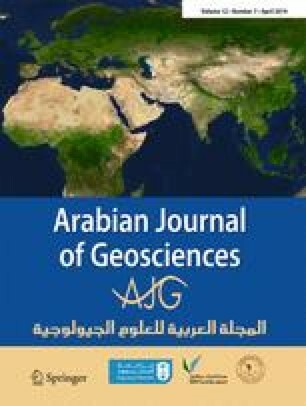 The research findings show more risk of dispersion of eolian sediments in human environment in near the Iranian-Afghan border. The Level of the risk of respiratory and eye damages for citizens exposed to dust distribution with the rate of distribution of eolian sediments in the environment is statistically significant. Human ecosystems (1) Dehno-Piran, (2) Bazzi-Allari, (3) Muhammad-Shah-Karam, and (4) Abbas-Rostam regions in Sistan area have the highest risk for citizens due to respiratory problems and eye damages caused by eolian sediment dispersion. The authors would like to thank the staff and doctors of medical centers across Sistan who graciously cooperated with us all through the process of this research. The authors would also thank esteemed colleagues, Mr. Ali-Soofi, Mrs. Jalili, and Mrs. Erfani who checked the research’s questionnaire for validity and reliability and proposed their constructive comments.